What Huntington's Disease Home Care Assistance Do You Need? What Huntington’s Disease Home Care Assistance Do You Need? Are you interested in learning more about Huntington’s Disease home care assistance? Are you looking for information about what help may be available to live with this condition? A diagnosis of Huntington’s Disease and living with this condition can be difficult to handle at times. In-home support can help manage the impacts of Huntington’s Disease but also assist with daily activities. You will, however, want to find the right Huntington’s Disease home care assistance for you. 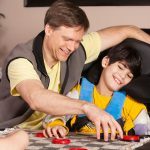 The first step in choosing a Huntington’s Disease home care assistance service provider is finding one that appreciates your unique circumstances and needs. 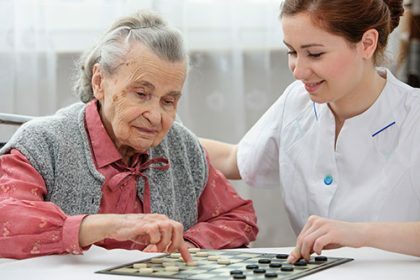 You will also want to engage a Huntington’s Disease home care assistance provider that has the right level of experience and knowledge to effectively support you. One of the first things your Huntington’s Disease home care assistance service should do is consult with you to obtain a thorough understanding of your situation and how you are being impacted by the condition. They should work closely with you to design a customised care and support plan that addresses your exact needs. Your Huntington’s Disease home care assistance plan should be tailored to your individual circumstances both now and in the future. It should have the flexibility to evolve with you as your support needs change. One of the things we are proudest of is our focus on providing highly skilled Huntington’s Disease home care assistance you can trust. In everything, we do we are committed to ensuring sure you feel safe and supported at all times. No matter the situation, we know what to do and will approach your Huntington’s Disease home care assistance professionally and with empathy. 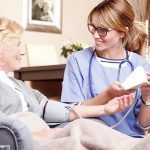 You can be assured of receiving quality Huntington’s Disease home care assistance that is delivered under the supervision of a Registered Nurse. 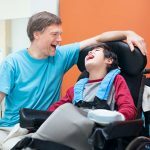 We are also a registered NDIS provider. Call us today at 1300 435 782 or contact us via our online form for a consultation and information about Huntington’s Disease home care assistance we can provide.